Upon reflection of Paul Weller’s respectable career, it makes little sense why he would feel any incentive to release a sprawling album like 22 Dreams, the lengthiest and arguably most stylistically diverse album of his 30-plus-year span as a songwriter. After all, anyone with even the slightest understanding of the Modfather’s illustrious discography as both a solo artist and frontman of the Jam and the Style Council would already recognize him as being one of the most successfully eclectic songwriters to come out of England in the past several decades; he simply has nothing left to prove. The Jam emerged in the late ‘70s with a new breed of punk, R&B, and power pop that would be later deemed “mod revival”, with the trio being one of the forefront innovators of the genre. Weller distanced himself from the Jam’s style in 1983 upon the formation of the Style Council, a four-piece whose roots rested more in key-led blends of soul and pop music. Since the Style Council disbanded in 1989, Weller has released eight solo albums that have all peaked in the UK Top 10. Such impressive sales aside, the most impressive aspect of his discography has been the stylistic diversity he has implemented in every release. From the fused elements of soul and British folk on 1993’s classic Wild Wood to the lively nostalgic rock sound of 2005’s As Is Now, Weller has made it a fun ride so far. His ninth solo album (not couting live discs), 22 Dreams, manages to simultaneously capture glimpses of Weller’s stylistic past while introducing a batch of newly attempted styles to the mix. Considering that the album boasts over 68 minutes of new material that spans over two discs, there is plenty of room for it too. An accustomed format for contemporary double albums has been for one side to inherit the louder and more instrumentally involved tracks, with the other side being more reflective of an artist’s subdued side. Rather than abiding by such limited conventionalism, Weller has created a cohesive flow that allows his multifarious vision to flourish without stylistic repetition bogging it down. Weller had intended 22 Dreams to be a thematic attempt at capturing the changing of seasons and the structure alone does a remarkable job of that; the subtleties are displayed through the transitional tendencies of each proceeding track. Though the varying approaches may appear intimidating to someone who is playing the album on shuffle, each song eases into one another with graceful precision as Weller explores both familiar and unchartered stylistic territory. 22 Dreams is simply one of those albums that must be played in correct order for the most beneficial sense of comprehension and enjoyment. The primary fear that many listeners have about double albums is relative to whether or not the artist will include too many fillers in an attempt to make both halves comparable in duration. However, for the startlingly consistent Weller, such fears are put to rest after only a handful of listens. The first several songs commendably serve as the introductory indication of Weller’s diversified approach. “Late Nights” is an acoustically charged folk ballad with Celtic ties. 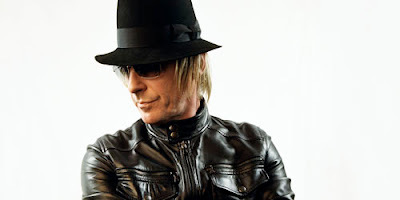 “22 Dreams” and “All I Wanna Do (Is Be With You)” are traditional radio-friendly Weller solo tracks in their infectious uses of R&B and traditional British rock. “Have You Made Up Your Mind possesses an irresistible chorus that demonstrates Weller’s knack for soul and rock. In fact, if organs and keys had a more active role in “Have You Made Up Your Mind”, it would serve as the most distinctive reminder of the Style Council . As it is though, the soulful chorus in which Weller is backed by a series of vocalists under the collaborative rush of flowing strings and guitars brings back a few vintage moments of the Style Council just fine. The latter end of the second disc takes a more experimental turn, seeing Weller turn to the workings of a piano ballad in “Invisible”, the spoken-word acoustics of “God”, and the electronic ambiance of “111”. The latter should fascinate longtime fans of Weller the most, mainly because eeriness is not often a feeling that normally associated with Weller’s music. Using an array of variously pitched strings, wind instruments, and restrained rhythmic propulsions, Weller touches upon influences of free jazz and ambient electronica over the continuous whirring of a budding synth pad. With the stark contrast of ominous synths and light strings emerging in their most audible form during the intensified conclusion, the song is as momentously spine-chilling as it is artistically rewarding. Reverting back to a familiar formula, the first disc concludes with “Why Walk When You Can Run”. Here, Weller works with a simplistic acoustical progression whose lyrical content is focused on the sense of urgency that youths feel to grow up. “He sees only the time, and the surf and the sea,” Weller sings in a fatherly tone, suggesting forces beyond his own control. “He’s oblivious to me calling.” The melodic hooks are signaled by the suave coordination between the various guitar progressions, with the swift strikes of an electric guitar providing a whole new edge to the acoustical accompaniment. An additional creative force throughout 22 Dreams is that of Simon Dine, producer and occasional co-songwriter. He can be accredited for the vibrant string arrangements found on extremely memorable tracks like the “Empty Ring”, “111”, and “Song for Alice”. It was vital that Weller enlisted a producer who had the ability to capture his extreme ambitions on 22 Dreams, as it is certainly not an easy task to capture the wide array of genres demonstrated here. Based on Dine’s contributions as both a songwriter and producer, Weller made a remarkable choice. Thanks in part to both stellar songwriting and production, the album remains cohesive while remaining enjoyably unpredictable. One of Dine’s co-written tracks, “Push It Along”, opens the second disc up terrifically and is perhaps the catchiest tune on the entire album, setting aside any premature beliefs of a disc-by-disc inconsistency. The notable “Song for Alice” is an exotically invigorating tribute to Alice Coltrane, complementing the late jazz pianist with a meticulously crafted form of instrumental jazz-rock that would have made her grin with delight. What songs like these have done is separate Weller from the clichéd alternative-rock that other aging artists put out shamefully these days. The difference with Weller is that he has maintained a majestic vision that is consistently worthy of production for over 30 years, a sentiment illustrated deeply on 22 Dreams. Apart from being the most eclectic and resourcefully imaginative solo album of Weller’s career, 22 Dreams also turns out to be one of his most consistent efforts. Considering its length and degree of material, it is a colossal achievement in songwriting even for the reputable likes of the Modfather.